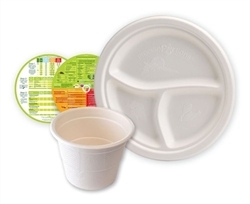 LIFE-style portion control dinnerware is designed by dietitians under the most current USDA nutritional guidelines to help you improve your healthy eating habits and control your weight to prevent or improve chronic diseases like type 2 diabetes, high blood pressure, and kidney disease. 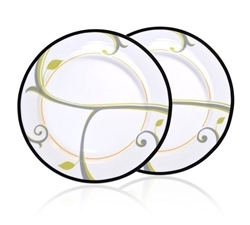 This 2 LIFE-style plates seamlessly fits into your current fitness routine and style. 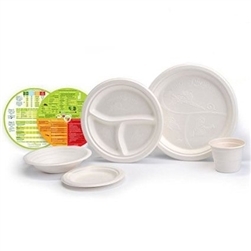 But art plays its part, too, and portion control markings are discreetly integrated right into the plateÕs design. And since LIFE-style plates are crafted from Porcelain China and 100% dishwasher and microwave safe, nobodyÕs the wiser but your healthy eating plan. 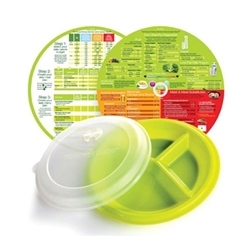 The LIFE-style plates are part of a portion control system designed by dietitians for maximum effectiveness.- the perfect complement to your fitness regime. The LIFE-style dish is a great transition plate that is very guest-friendly.You already know that eating healthy means more than just knocking off the burgers – you’ve got to balance your intake of different foods. And now, itÕs easier than ever. Just stay within the lines! 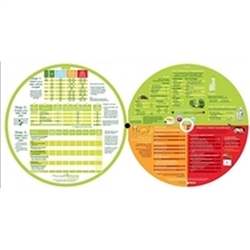 The Precise Portions’ LIFE-style plates make great gift for friends and family who need a little help with a Nutrition Training System. This Portion Control LIFE-style plates could be one of the best gifts you can give yourself or a loved one – The gift of lasting health. Ready for results you can feel? Get started today!